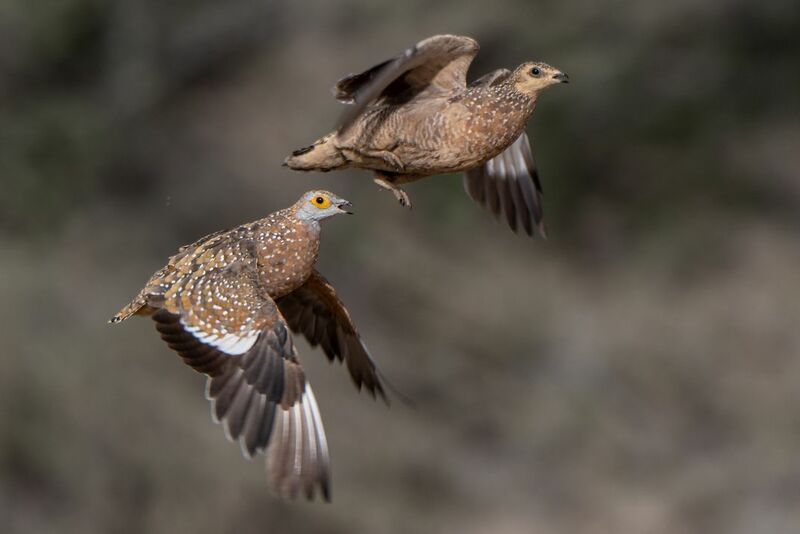 Burchell's Sandgrouse leaving a waterhole. Burchell's Sandgrouse arrive early in the mornings at this waterhole to come and drink and collect water for their babies. This male and female was leaving in this photo. Date Uploaded: Oct. 30, 2018, 8:23 a.m.